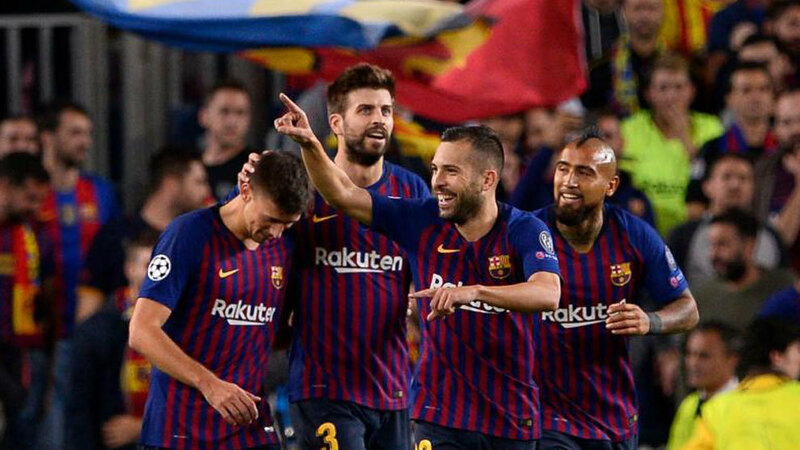 A first half strike from Lionel Messi replacement Rafinha and a late Jordi Alba goal earned Barcelona a 2-0 victory over Inter on matchday three of UEFA Champions League Group B on Wednesday night at the Camp Nou in Barcelona. The Catalonians now sit alone atop the group with nine points and are on course to reach the knockout stage with three matches remaining. Nobody expects Rafinha to be able to match Messi’s output while the Argentine is sidelined with his arm injury, but the Brazilian showed well and gave manager Ernesto Valverde plenty of reason why he should start in Sunday’s Clasico versus Real Madrid. Overall, Valverde will be pleased with his team’s performance, especially in light of recent seasons when Barcelona have struggled without Messi on the pitch. While his punch was missed at times on Wednesday night, the rest of the Barcelona attack showed they have the goods to survive the intermittent weeks without the Pulga, who viewed the night’s festivities from a front row seat at the Camp Nou with son Thiago. With no Messi to rely on, Valverde had to shake up his starting XI, with Rafinha getting the nod in attack ahead of Ousmane Dembele. Arthur was also back in midfield joining regulars Ivan Rakitic and Sergio Busquets, meaning another seat on the bench for Arturo Vidal. The visitors came out pressuring Barcelona in their own half, testing the Catalonians’ ability to break the press without the services of Messi. Barcelona held firm but it was Inter with the first chance when an Ivan Perisic cross was almost redirected in by the dangerous Mauro Icardi. Barcelona were starting to get their feet wet and shortly after the half-hour mark Rafinha made up for two earlier scuff jobs with a fantastic goal to give the hosts a 1-0 lead. Rafinha won a ball in midfield and then swung a pass out wide left to Luis Suarez, who curled in a cross back and the Brazilian hit it on the fly for the goal. The first 45 minutes would end with another clear-cut chance for Barcelona, this time via a free-kick. Philippe Coutinho was the entrusted one to take it and his effort almost deflected off of Borja Valero and into goal. Inter boss Luciano Spalletti had his team adopt a much more aggressive approach to start the second half and briefly had Barcelona pegged back. But the home side recovered quickly and were soon back on the front foot. Clement Lenglet got loose and should have made it two, only to fire right at Handanovic. A rare counter-attack for Barcelona almost led to their second, as Coutinho came within an inch of a stunning strike but was denied by the crossbar. 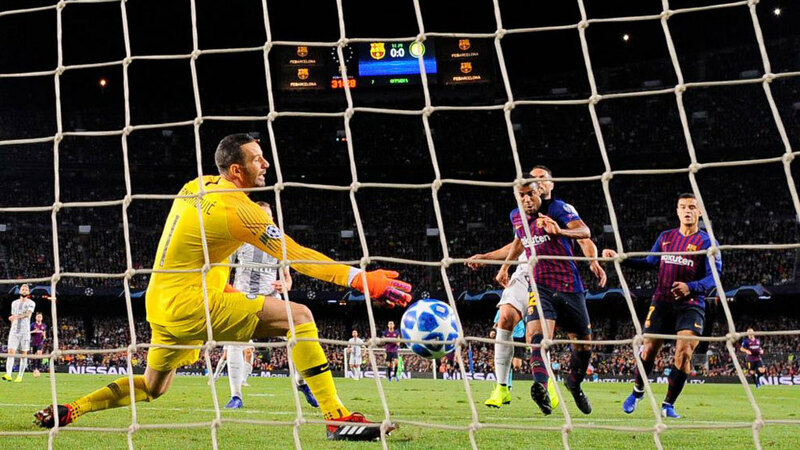 There was the sense that a second Barcelona goal could come at any moment, and Alba obliged by receiving a surgical pass from Rakitic and racing past the Inter defence before beating Handanovic to round out the 2-0 scoreline. 2- Barcelona: Ter Stegen; Sergi Roberto, Pique, Lenglet, Jordi Alba; Busquets; Arthur (Vidal, min. 78), Rakitic; Rafinha (Semedo, min. 72), Luis Suarez, Coutinho (Munir, min. 88). 0- Inter: Handanovic; D’Ambrossio, Skriniar, Miranda, Asamoah; Vecino, Brozovic; Candreva (Politano, min. 46), Borja Valero (Lautaro Martinez, min. 63), Perisic (Keita Balde, min. 77), Icardi.